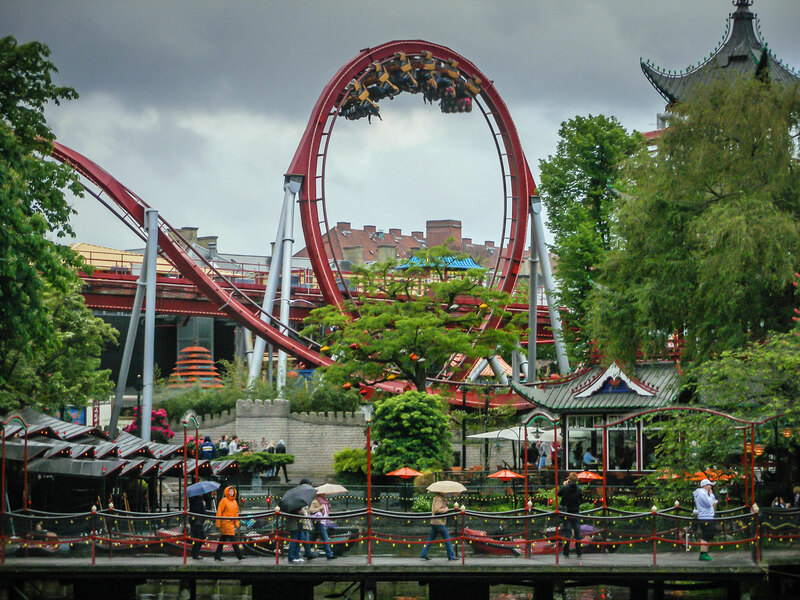 Daemonen at Tivoli Gardens in Denmark. 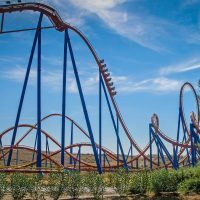 Floorless coasters are a particular form of the B&M multi-looping coasters. 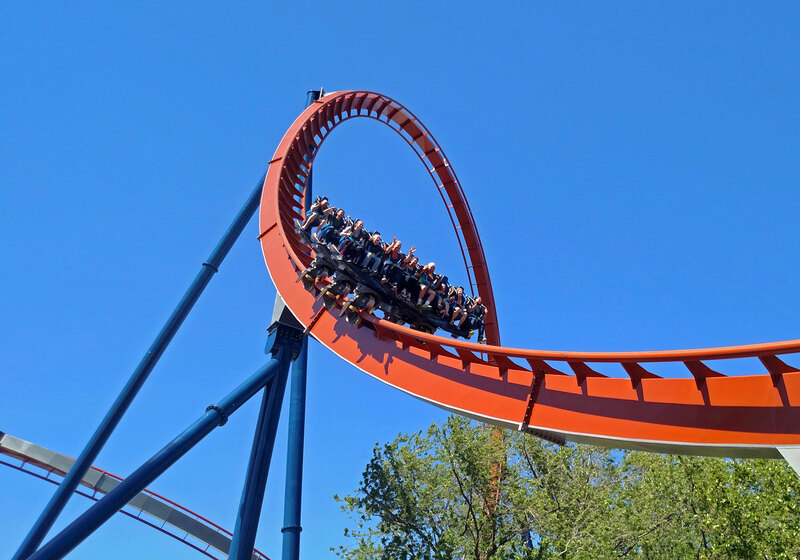 The circuit of the coaster is heavily based on inversions, but the gimmick here is that coaster train “loses” its floor before it leaves the station. Once passengers are securely seated, the floor folds away underneath the station and the legs of the riders are left dangling over the top of the track. 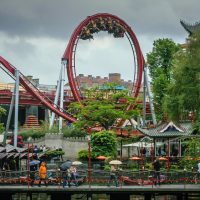 Floorless coasters have virtually replaced the traditional B&M sit down coasters with a floored train, much to the dismay of a lot of people. 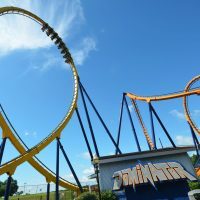 Floorless coasters are commonly regarded as being not as forceful and exciting as the older B&M multi-loopers, where the trains have a floor. Kraken at SeaWorld Orlando in Florida, USA. 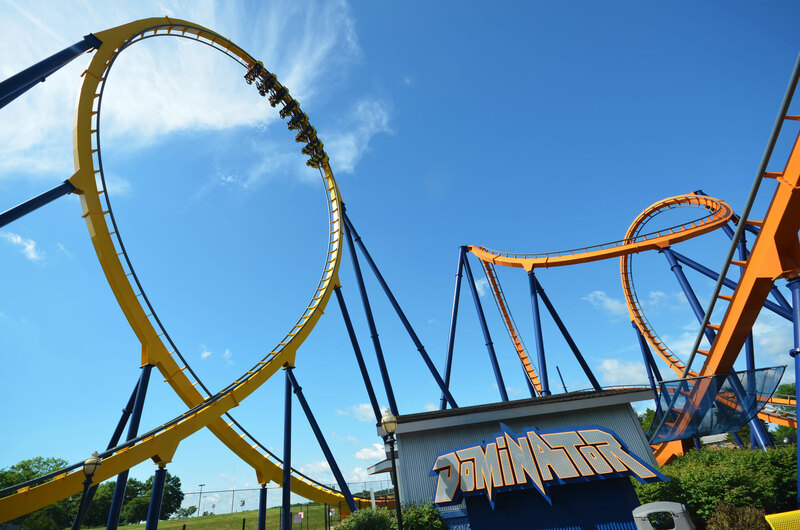 B&M are currently the only company to have floorless coasters in production. 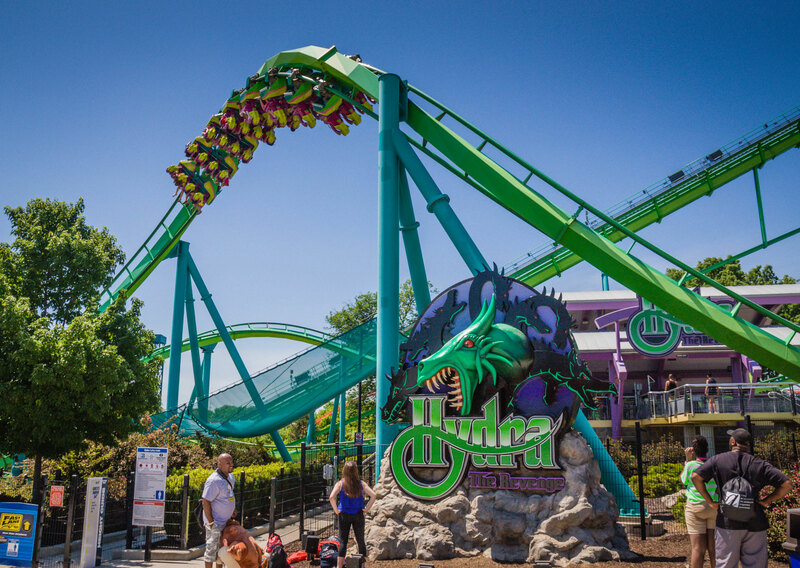 The first floorless coaster was Medusa at Six Flags Great Adventure (since renamed Bizarro) that opened in 1999. 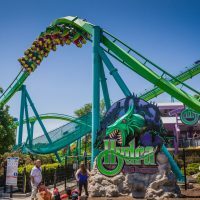 The coaster was such a success in its first year of operation that four more opened the following year: Kraken at SeaWorld Orlando, Superman Krypton Coaster at Six Flags Fiesta Texas, Medusa at Six Flags Discovery Kingdom and Dominator at Geauga Lake (relocated to Kings Dominion in 2008). 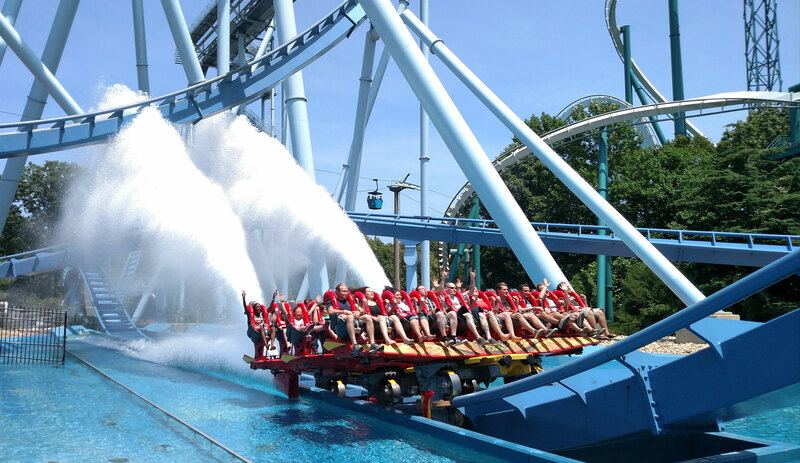 Griffon at Busch Gardens Williamsburg in Virginia, USA. 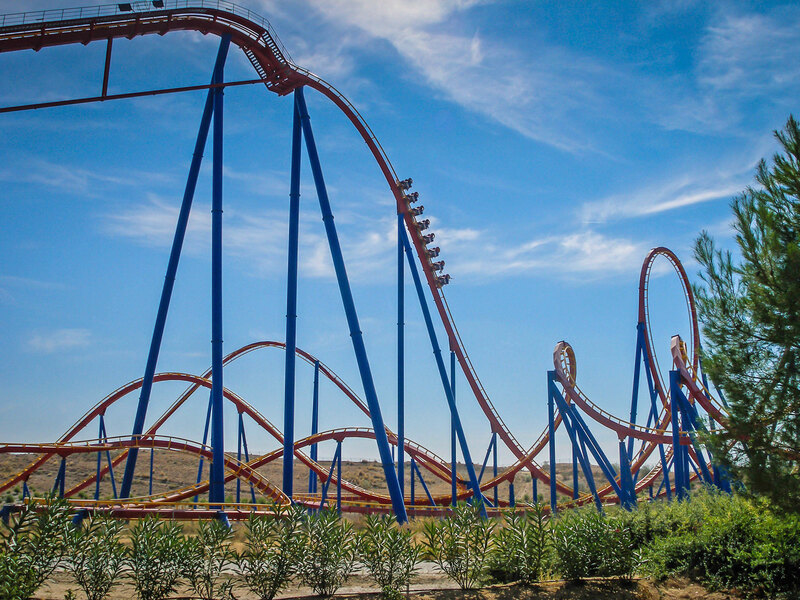 B&M also offer a floorless version of their “Dive Machine” coasters. 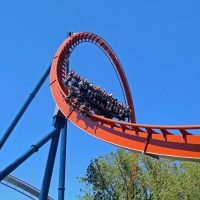 Following the success of Griffon at Busch Gardens Williamsburg, SheiKra at Busch Gardens Tampa was retrofitted to have new trains without the floor. 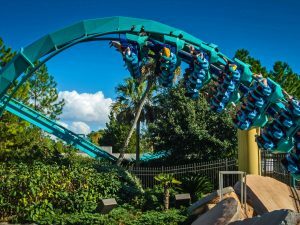 After all these years the jury is still out on whether this really improves things or not, but all Dive Coaster built since have floorless trains.